We all know that cybersecurity has become a core responsibility of and capability required for all institutions large and small, public and private. As the world moves to becoming completely connected through the Internet of Things the amount of types of data available to organizations is increasing exponentially, but so is the number of entry points, putting a strain on cybersecurity teams to keep up. But keep up they must, because the things they are protecting – an organization’s digital assets are its most precious, the source of new insight, offers, business models – and future growth. To thrive in the 21st century organizations must be digital. To survive they must be digitally secure. Phrases used in cybersecurity like perimeter are often ones we usually associate with warfare. The analogy is cyber defenders are manning the walls to protect data and applications, while attackers are looking to get under, between or around those defenses. This type of warfare is very asymmetric. Bad actors with few resources can crash the online platforms of Fortune 100 firms. A key to their success is intelligent automation. From bots designed to install themselves on desktops and capture and use password information, to state of the art AI that probes, learns and adapts until it finds a way in – automated approaches means they can pose a multi-billion dollar threat with little investment and very little labor. Conversely, those entrusted with the responsibility of cyber defense face the challenge of meeting a rapidly growing volume of threats requiring ever increasing budgets. Gartner forecasts worldwide enterprise security spending to total $96.3 billion in 2018, an increase of 8 percent from 2017, representing approximately 5.6% of overall IT budgets. The costs incurred include an ever-increasing requirement for demonstrating compliance. 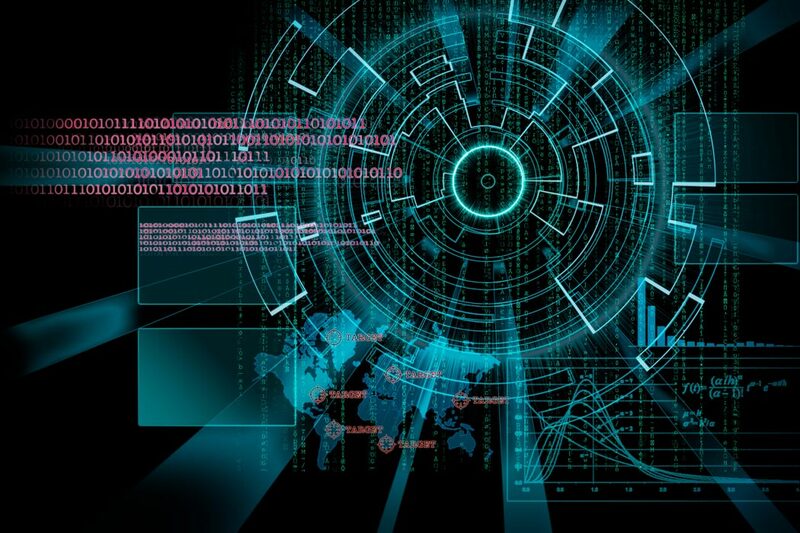 It’s not enough to secure your perimeter, you must prove to your board, auditors, and regulators that you are doing all you can to stay secure – and that is no small thing as those initiating cyber threats employ ever more sophisticated techniques and technologies to find their way around and through defenses. Even with significant annual spend increases it is hard for IT organizations to keep up, especially in the areas of human resource. The competition for talent is fierce. Cybersecurity related salaries are now rising at an annual rate of 7%. The result is CIO’s and Cyber Security leads are turning more and more to intelligent automation as the answer to scaling their ability to identify, re-mediate and prevent attacks. A key area where intelligent automation is playing an increasing critical role is in sifting through the mountain of daily notifications that may or may not be a real threat. Whether leveraging basic RPA working from set rules or leveraging adaptive machine learning strategies to constantly improve ability to filter out false positives – the potential here to reduce manual effort is enormous. The obvious next step in the end to end process is to turn remediation over to AI, giving it permission to take action on the threats it identifies. Realizing there is tremendous opportunity in this space, hundreds of startups such as Cylance, Counterflow AI, and PingIntelligence have emerged based on utilizing AI learning and adaptive capabilities to meet the cyber threat. Every leading cloud service provider is building AI enabled cyber defense into their core offerings, racing to acquire AI cyber startups as Microsoft did last year with Hexadite. Recently Globe North, working with a leading financial services company in support of its cyber security mission helped chart out a strategy for systematically identifying and prioritizing automation opportunities, addressed by leveraging a full range of automation capabilities, including work flow and API’s, as well as RPA and AI. The objective is to meet the challenge of an ever-increasing volume and complexity of threats at a sustainable rate of investment via agile, scalable processes. There is no question that every CIO is facing this same daunting challenge; how to do more every day with the same or less in meeting the escalating cyber threat. Having a digital strategy for cyber is a requirement for doing business in the digital age.